Rodama: a blog of 18th century & Revolutionary French trivia: An early portrait of Robespierre? An early portrait of Robespierre? Since I now have access to this key source, I return to portraits of Robespierre. A first oil painting of Robespierre? 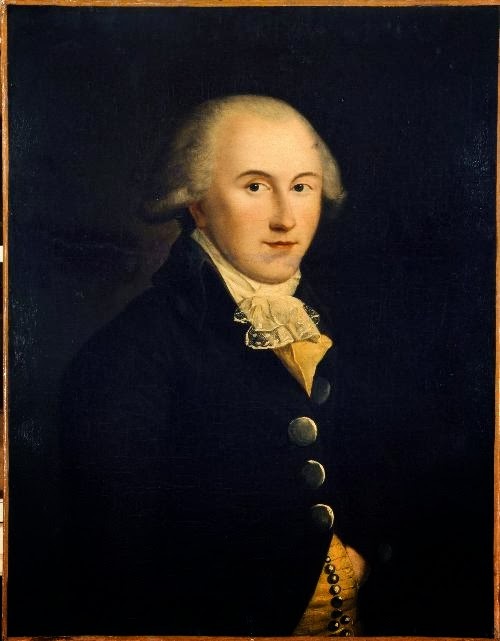 This portrait, now in the Musée Carnavalet, was identified throughout the 19th century as the earliest known depiction of Maximilien Robespierre. "Robespierre is depicted half-length, turned towards the left, but almost facing the onlooker. He is wearing a very dark bluish coat with big buttons, a white cravat with a knot of falling lace, and a yellow waistcoat in which his left hand is hidden". "The portrait was painted and signed by Boilly at Arras in 1783. It was kept in the Robespierre family for a long time but bought several years ago, in the sale of the Dancoisne collection in Arras, for the Musée Carnavalet where remains today." (p.247-51). 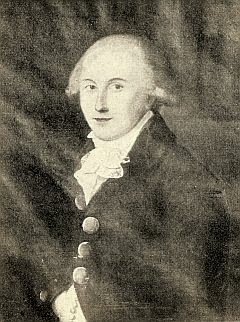 The picture was first reproduced as the frontispiece to J.-A. Paris,La jeunesse de Robespierre et la convocation des Etats-géneraux en Artois (Arras, 1870). According to M. Paris the portrait was signed by Boilly, painted about 1783 and given by Maximilien to one of his relatives in the nearby town of Meurchin. It was photographed by permission of a M. D.... who had acquired it directly from the family and could guarantee its authenticity. Further corroboration was provided in a notice by Victor Advielle written in 1884, immediately following the sale of the work to the Carnavalet. Advielle reproduces the sale notice. He points out that Robespierre did indeed live in Arras in 1783 and had just become a member of the Rosati, a local literary society. He also identifies M. D.... as Auguste Demory, a well-known figure in the local art world. "I can affirm, by the most secure of traditions, that there has never been known in Arras any other picture of Robespierre besides that of which we speak. It is therefore the only one which could have been made before the Revolution. In about 1850, as a pupil of the School of Design in Arras, my teacher M. Auguste Demory, to whom the portrait belonged, offered to sell it to me for 50 francs. He presented it to me as a work of Bailly [Boilly] and as representing Maximilien de Robespierre; he had acquired it, he told me, from a family in the rue de Beaudimores (whose name I know), related to the family of Robespierre. The museum in Arras, to whom M. Demory had offered the picture, had refused the acquisition for political reasons. I was young then and not yet a collector, but a short time later M. Demory sold the picture to the amateur who has just now sold it, and who kept it for more than 30 years.....The honorable character of M. Demory is for me the guarantee of these attributions....Those who know him know that he would be incapable of making a false attribution in order to sell a picture...."
Is it really by Boilly? The dates fit. In 1780-85 Boilly was Arras, working under the patronage of the bishop, Monseigneur de Conzié, and there were other portraits by him in Arras dating from this time. However, it doesn't feel accomplished enough to be by his hand, even at this period, and especially given his beautiful later portrait of Robespierre now in Lille. There is clearly some question mark over the signature "Boilly" on the picture. M. Advielle thought the work had no identifying marks, and the Carnavalet say it is a "signature apocryphe". 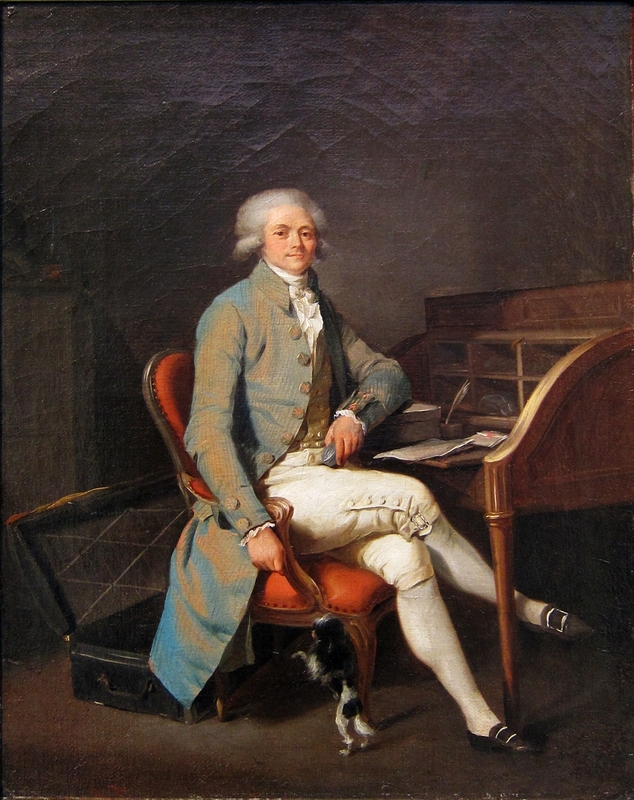 The Carnavalet now identifies the sitter as Augustin Robespierre and this identification has become almost universal on the internet, but I can't find any documentary evidence to support it. The conclusion is plausible. But maybe it is just wishful thinking on the part of viewers who can't find any echo of Maximilien in this mediocre painting. Hippolyte Buffenoir, Les portraits de Robespierre (Paris, 1908), p.247-8. Make-up the 18th century way? Robespierre's speech to the king.